Joaquin Grilo is a powerhouse of flamenco talent. His fiery footwork and ability to embody the music was simply magical. His whole body was used to translate the flamenco guitar playing of Juan Requena and singing of Jose Valencia into fluid, precise movement. As the headlining show of the Vancouver International Flamenco Festival, Grilo showed why flamenco is so powerful. 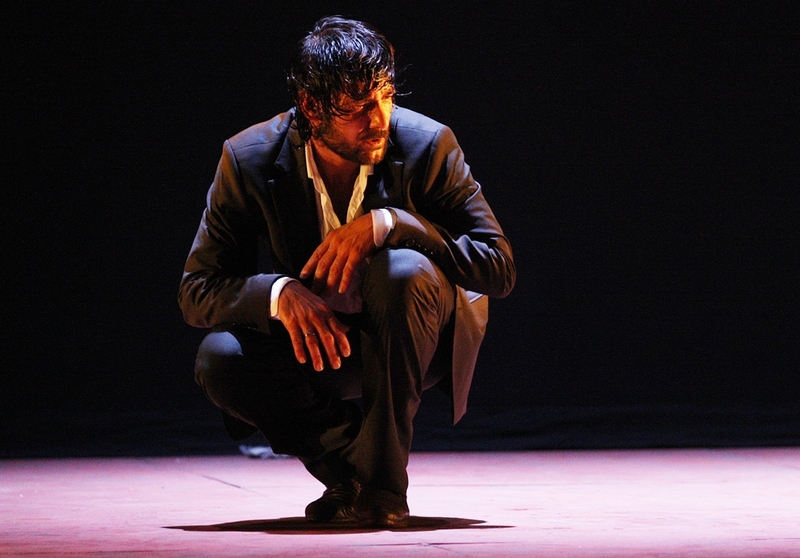 Grilo has won many awards, and his traditional flamenco technique is superb — this is what allows him to take that knowledge and add his own personality to his work. This show was full of Grilo’s sense of humour as he slyly looked at the audienced or paused for comedic effect. The crowd loved him. Flamenco isn’t just about the dance though, it’s about the relationship between the dancer and the music. Valencia and Requena were on stage with Grilo as the music and dance became one entity, and they also had solos which showed off their tremendous talent. Shouts of “Ole” could be heard from the audience throughout the show, and Grilo, Valencia, and Requena didn’t get away with a simple bow, the crowd clapped and cheered until the curtains opened again and they treated us to an improvised jam session of pure flamenco passion.